Affiliate marketing one of the best way to earn money from blogging. Most of the bloggers in blogging niche earn their 70% of income from affiliate products. If you aren't promoting affiliate products through your blog then probably you are making a big mistake. You can not amazing how much money you can make through promoting affiliate product your blog. Most bloggers like michelle from makingsenseofcents.com have earning every month more than $30,000 dollars just from affiliate products. If you want to promote affiliate products on your blog and make money online. But, don't know how then you can use these methods like write tutorial/review, email marketing and resources page. You can also read this guide on how to promote affiliate products through your blog. Where I shared how bloggers do affiliate marketing on their blog (with examples). Now it's time to know which are the profitable affiliate products you can sell in blogging niche. There are lots of good products that peoples are recommending in the blogging industry. But, in this article, I'm going to share with you top affiliate products that mostly used in blogging. You can join their affiliate programs and make money from recommending others through your own referral link. 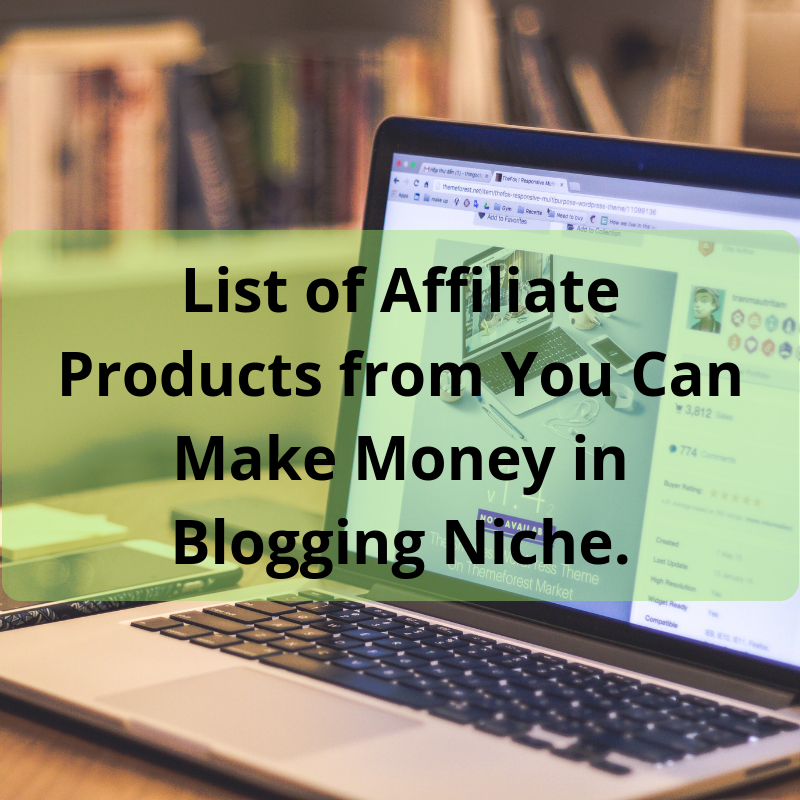 Here is the list of top 7 affiliate products you can promote in blogging niche. Bluehost is one of the best WordPress hosting provider. it's recommended by WordPress to host WordPress sites. you can recommend Bluehost hosting to your blog readers to start a blog. right now Bluehost hosted more than 2 million websites over the internet. It is one of the trusted hosting provider company. The best thing about Bluehost affiliate program is you don't need to pay anything it's free to join. you can up to $65 for every sell. assume, if you made 5 sells in a month then you will on $650 is a good amount to earn money from the affiliate program. Bluehost provide different types of banners you can use them to promote this hosting program easily on a blog. Most of the guys you know convertkit as one of the best email marketing tools. most famous bloggers and marketers have been using convertkit for email marketing. you can also earn money from a convertkit affiliate program that allows you to earn money from referring it to others. you need to sign up with convertkit affiliate it's free as a convertkit affiliate you will able to earn 30% Commission each month. Means if you send them an account worth $95/month then you will get $30/month. Grammarly is a tool that always writes correctly everywhere. you can use grammarly in your browser to write error-free post. if you are not using grammarly then sign up using this link. grammarly has also an affiliate program that helps bloggers to make money from it. You can join grammarly affiliate program. It pays you $0.20 for signup and pays $20 when someone buys the premium version of grammarly you can earn a bonus $25 just from writing a review and post it to their site. It's really a profitable affiliate program because most people like to use this tool for blogging. You know SEMrush as a Keyword research tool it allows people to find profitable keyword ideas. But SEMrush has its own affiliate program that gives opportunities to bloggers to make money from referring SEMrush to others. You can earn 40% recurring commission its a huge amount. SEMrush also provides promotional material like banners that help you to promote it easily on your blog. you can also promote this tool in a better way by writing reviews and tutorial with your own unique referral link. if someone will signup SEMrush via your link you will get the commission. Here the link through you can join SEMrush affiliate program (Brush). 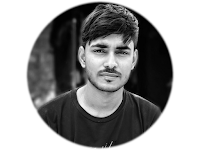 If you don't know what is leadpage then it's a landing page creator tool that helps in to create beautiful landing pages. Most bloggers have used this tool to generate leads from their blog. Leadpages has also an affiliate program to promote their own service. You can become a partner of this affiliate program that gives you chance to earn 30% recurring income for lifelong. I personally like lead page affiliate program and used method like write tutorial/review and place banner ads in the sidebar to promote this product. The cool thing about this affiliate product is giving you a recurring income. There are lots of advertisement program over the internet but propeller ads are kind of different from others. And propeller ads gained lots of popularity in the last few years because of his unique advertisement method. You can join the propeller affiliate program and promote it on your own blog. You will earn 5% commission for the lifetime when someone sign up propeller ads through your referral link. which means you can keep growing revenue by referring more peoples. it's really profitable affiliate program that gives chance to earn 5% lifetime commission on every referral you made. Godaddy is the world's one of the best domain registrar company. most of the guys know about GoDaddy and have registered a domain from it. I have also registered my domain name from Godaddy. These days Godaddy providing hosting services too. you can join that their affiliate program that gives you the opportunity to earn money online from your blog. you can promote domain and as well as hosting services. Godaddy will almost give 100% Commission on every sells that made through your referral. You will not get any affiliate program like this who gives you almost 100% commission on every sells. I have listed some great profitable affiliate products from you can make money from your blog. Some of the affiliate programs give you chance to earn recurring income that means once you make a customer for that affiliate product you will earn lifetime commission. For example SEMrsuh affiliate Program (Brush) and Leadpages Affiliate. I personally have been recommending these tools to my blog readers. Because I used these tools and I know they will be helpful for my blog readers too. I hope this post was helpful for you. If you have any question and suggestion then let me know in the comment below.